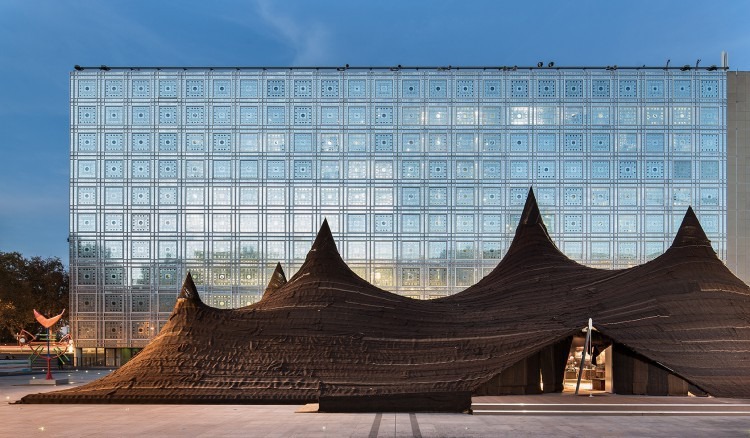 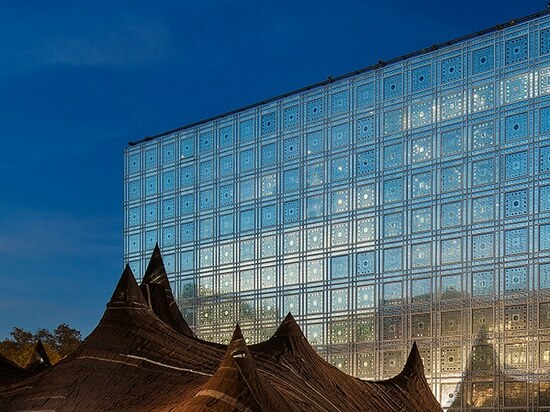 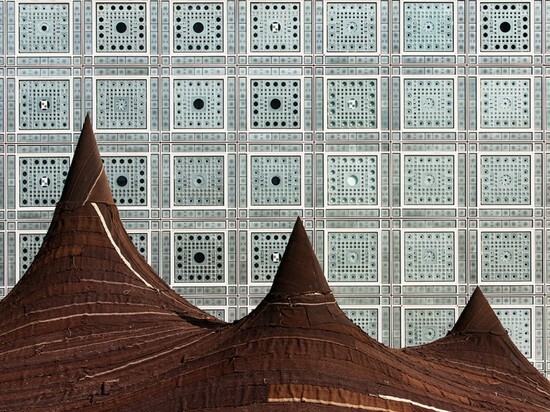 In correlation with the exhibition Maroc Contemporain at the Institut du Monde Arabe in Paris, the French architecture firm KILO has erected a giant tent in front of the building. 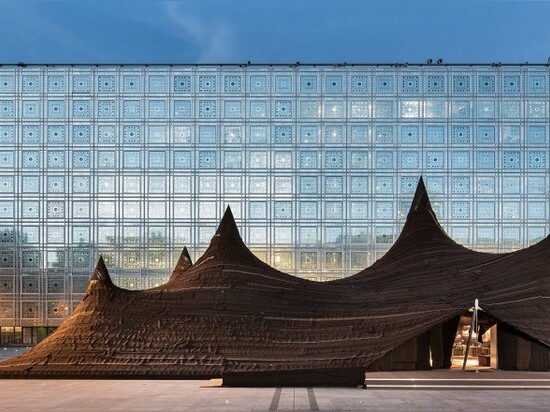 The tent is made from over 650-square-meters of camel and goat wool woven by members of a female cooperative in the Saharan desert. 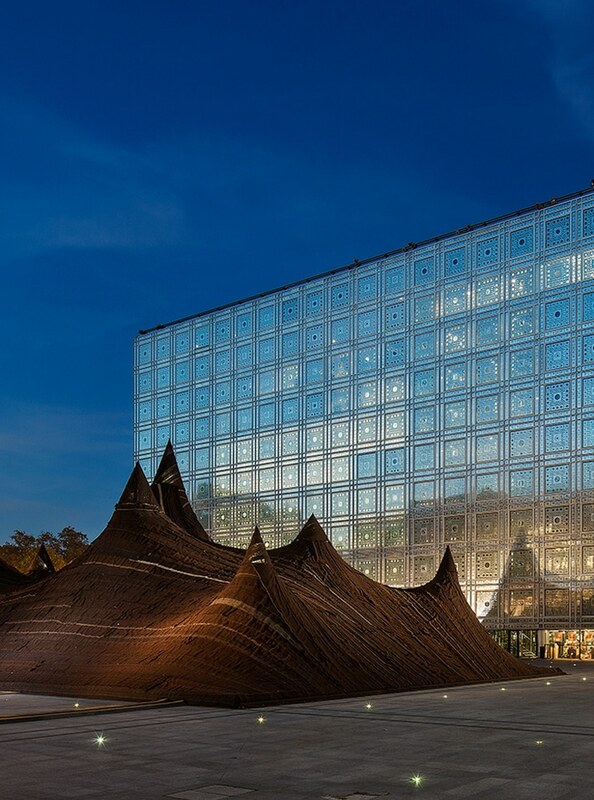 Nine summits rise from the 500-square-meter tent, its patchwork of earth tones contrasting with the institute’s sleek metal and glass facade. 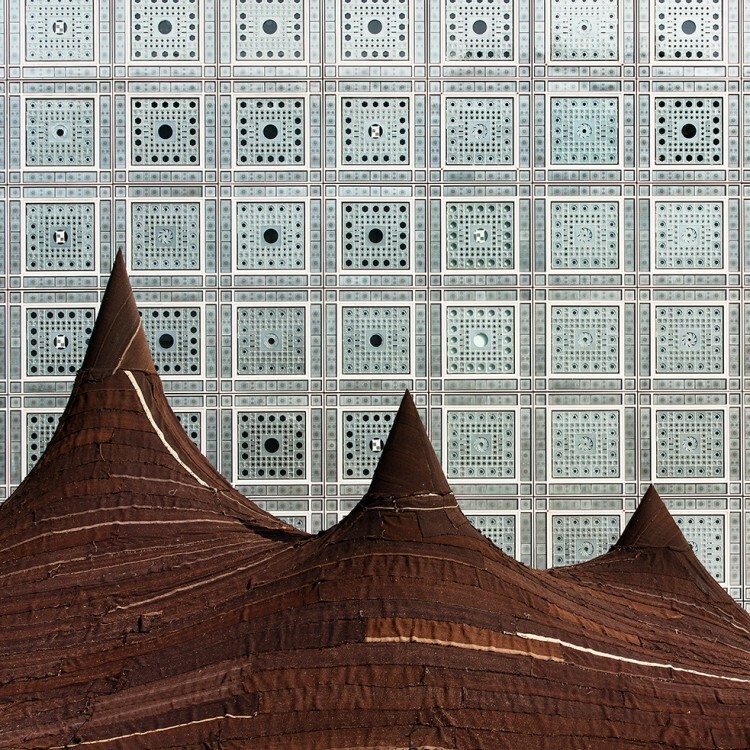 The tent pays homage to the nomadic cultures of Southern Morocco, and the interior recreates a traditional souk with Moroccan vendors and craftsmen displaying and selling their work. 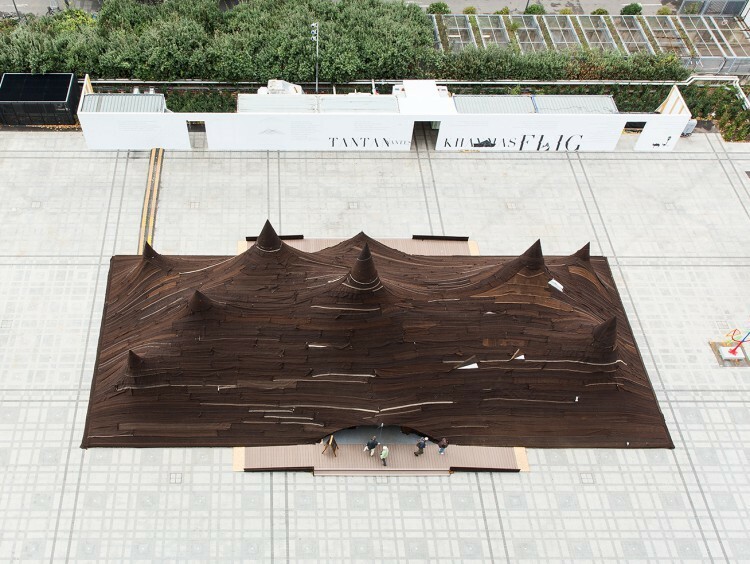 Performances will also take place inside the tent for the duration of the exhibition, which runs through January 25th.